The genre here, by my definition, is new series which I discovered and first read in 2018. Oddly, I have read most of these on audio. I am happy to have a variety of genres here: urban fantasy, mystery, erotica romance, science fiction and fantasy. There were many series which I read the first book this year but it’s the only one available. These are harder to choose with only one book, but I’m very excited about 4-5 of those series. I’m sure I am forgetting some great authors. There are also plenty of authors I have yet to read. Please share your favorites with me in the comments, also. Vote for your top 3 favorites! You can vote for my favorites or add favorites of your own. Please tell us your top three (or top 1 or 2) in your comments. Remember this is how the winning option is chosen for the giveaway. What are your favorite series you discovered in 2018? I accidentally bought the first of the Hailey Edwards series while shopping for a different title, and decided, what the heck, I’ll give it a try. No lie, I binge read the entire series in a week. I’m putting it up there with the Jane Yellowrock and Devon Monk’s House Immortal as my top picks. I’ve read and loved all the ones you mention. I have a special love for Devon Monk’s books. I read those in the earliest days. Thanks for participating. If you’d have asked me out of the blue, I’d have said that I wasn’t really focusing on new to me authors in 2018, but apparently I was. I just went through my reading journal and read over 200 new releases and many were new to me series and authors. I think the biggest newbie for me was Melinda Leigh. I’ve read three of her series now and hope to start a fourth. The new spinoff of Hugh’s stories from Ilona Andrews is very welcome since the Kate Daniels series is done. I loved the first book in the new Katie Ruggle Rocky Mountain Cowboys and am anticipating loving her new bounty hunter series that will release in 2019. 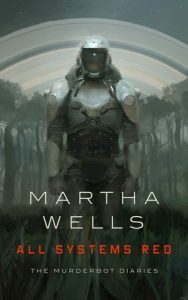 I also enjoyed the first three Murderbot Diaries by Martha Wells. Sophia thank you for such a complete and interesting comment. 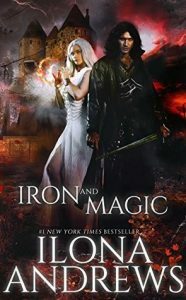 I knew picking Iron & Magic was a bit off since there is only 1 books so far and it’s a spin off series. BUT it’s Ilona Andrews. Which is part of why I didn’t pick Katie Ruggle series even though I LOVED Rocky Mountain Cowboy Christmas. Anyway, it wasn’t an easy choice even tho I break my own rules. I also LOVE the Cork O’Conner series by William Kent Krueger, the Nils Shapiro series by Matt Goldman. Both of those are also mysteries set in Minnesota. I definitely should have chosen the Rockton series by Kelley Armstrong because looking it up I see I did listen to the first one last January. There are new spinoff series also by Kaylea Cross, Chloe Niell. There are also the first in series by Kelly Meding, Jennifer Estep, Laura Kaye, Keri Arthur, and so many more. I also started reading and am loving the Morgan Dane series by Melinda Leigh. Daniel Pitt? I used to read Anne Perry; isn’t there a Thomas Pitt? Well someday, in spite of not reading much historical, I’ll go back to that series. I discovered The Bargainer series by Laura Thalassa in 2018 and so loved it! 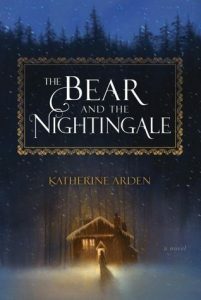 Now The Bear and the Nightingale is a very hyped one that I plan to read one day! Yes I have seen the Thalassa books on some blogs. I think they are in KU. I like Katherine Arden’s books. The second is even better than the first. I have an eARC of the third but am debating and maybe waiting for the audiobook which is how I read the first two books. Martha Wells is one I want to try. I thought the whole series so far was amazing. I loved them and they are funny. Most are novella length so very quick and easy to read. Thanks for stopping by. I loved the Iron Covenant, too, Anne. I’m so glad there will be more books in the Kate Daniels universe. I discovered a new-to-me author through the read a series in a month challenge, where Brandee and I read all four The Edge books by CD Reiss. They were really well done! I can’t think of any other series that were new to me this year. There are SO many great series, and even just single books. So this is just a small sample of the ones I enjoyed best which were new to me. I am really pleased it is such a diverse genre mix though. I really want to read the Hailey Edwards series soon. I had a great time with The Gardella Vampire Hunters series this year even though it is an older series. The Iron Covenant and Murderbot Diaries were also great. I’ve really loved it Carole. I just stumbled upon the audio releases and then other people were reviewing it because the ebooks were in KU. Sort of a perfect storm that all happened at once. yes now I want to try her older series since I like the author so much. My favorite new-to-me series in 2018 was Nalini Singh’s Psy-Changeling Trinity series. It has such great characters and character interactions along with a well-written, exciting story. yes I’m aware of that series, started in 2017 but some also consider it part of the original series. I like Nalini Singh’s books. I’m not up to date on the series yet. I am in love with Gaslight and the book discussion that goes along with it. The author includes historical elements with each book that are new-to-me factoids. And, I love the relationship between the main characters. I’m behind in Throne but am liking the world Maas has created. Stillhouse was a COMPLETE surprise, a diamond in the rough. Jonetta (Ejaygirl) | Blue Mood Café recently posted: Snow Day! I am with you on 2 & 3 I started Thrones of Glass but I’ve only read one so far and I’ve been buying them on audio as I can. I LOVED Stillhouse Lake which isn’t a surprise because I’ve enjoyed everything from Rachel Caine so far. I got the first one as a Kindle first book, free thru Prime. I’ll have to check into the Gaslight mysteries. Really the Cork O’Connor series belongs here also. I was just starting to listen to it when I wrote this post in October. It’s so hard to choose. But the idea is for all of us to share favorites. Charley Davidson Series by Darynda Jones is my fav. this year so far, thankfully I read them all in the past few months so I’m ready for the Finale in Jan. 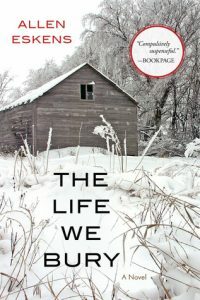 I love how it has Mystery, Romance, Humor, heartbreak, and its gritty at times. Darynda does a good job of balancing a lot of elements throughout the series. It was just refreshing for me. So you just found this series and read all 12 this year? That made it great for you to be ready for the last one in January. I love Charley Davidson books on audio, too. My coworker told me about them 2.5 years ago (also saying I think shes almost done with the series lol). 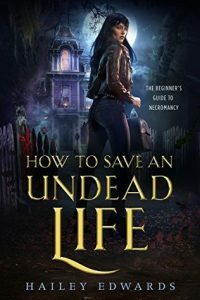 It was one of those things where “I’ll get to it eventually” then Netgalley offered the 1st book as a Read Now this year I think and by then I knew that there was 1 more book to be released in the series. Well Im glad I waited. I also listened to some of the books via audio from my library and they were great too! I need to try the Bear book again. I just couldn’t slip into the first time and I suspect it was all me. I sometimes have to listen to fantasy on audio to get myself into it. The second one is even better than the first. The 3rd one is out in January and I just got the audio ARC. I think I had to try it a couple times, also. It is enough world-building I had to really listen and not be distracted at the start.